Here at FTMDaily, we believe that gold and silver are the best forms of money. We also believe that the current paper money system is going to eventually implode due to unsustainable debt levels. 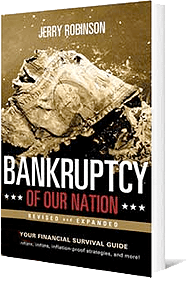 The beneficiaries of such an implosion would include hard assets like precious metals, commodities, and other tangible investments. Most Americans have never purchased investment grade precious metals. FTMDaily seeks to inform the public on the benefits of owning precious metals. We have created many educational resources that will help any investor — whether novice or advanced — to better understand how to buy gold at the best time, and at the best price. Gary Christenson is the owner and writer for the popular investment site www.deviantinvestor.com. He is a retired accountant and business manager with 30 years of experience studying markets, investing, and trading. Many years ago he did graduate work in physics. He currently lives in Granbury, Texas with his wife. Zaid Jilani is a journalist who hails from Atlanta, Georgia. He has previously worked as a reporter-blogger for ThinkProgress, United Republic, the Progressive Change Campaign Committee, and Alternet. Thanks for joining me again this week. Have something you’d like to share with me or one of our guests? Leave a note in the comment section below! If you enjoyed this episode, please share it on Facebook, Twitter, and any other social media outlets. Help us spread the word! 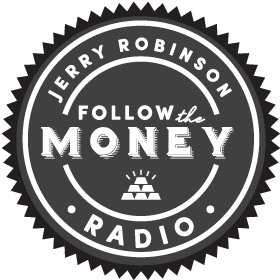 Also, please leave an honest review for Follow the Money Weekly on iTunes! Ratings and reviews are extremely helpful and greatly appreciated! They do matter in the rankings of the show, and I read each and every one of them personally. Thank you for your support! See you next week!